This Ring is designed with the intend to resemble the aerodynamic hull of a plane like structure. The ring leaves the main body, point symmetric to each side as wings. 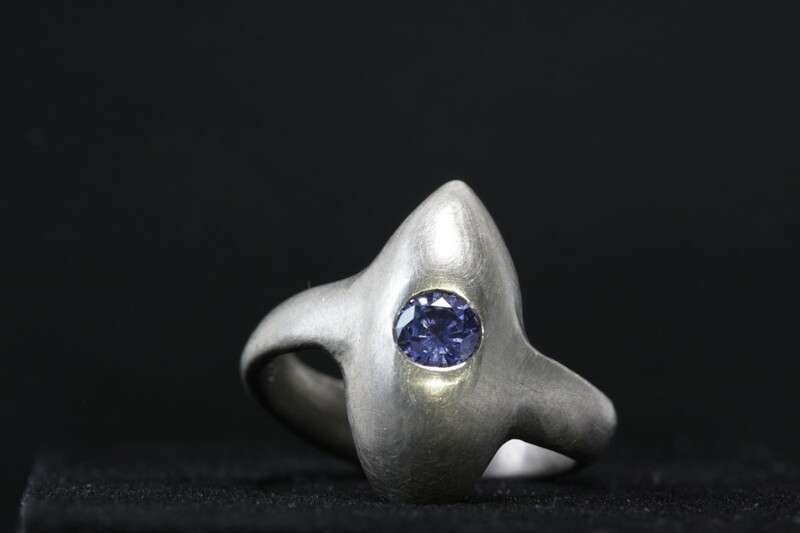 I designed it in with 3D CAD and went multiple times to my trusted goldsmith Mrs. Blauhut in Constance. She did an awesome job. The ring carries one secret feature, which I cannot disclose here, but you may ask me.